Charming Two story architectural facade with rich display of denture design exterior finishes and columns. Also, enjoy the open carpeted porch setting with a rich brown soffit ceiling material. Then you enter into a foyer with a privacy door and its open glass and top window design. This leads into a spacious living room area. A formal dining room with a glass cabinet for China. Proceeding through to the eat-in kitchen with beautiful cabinetry, granite counter top, garbage disposal and radiant back splash. Not to mention a rear porch enclosed off the kitchen and outside small patio. The upper level awards you with four bedrooms including master bedroom with an enclosed glass two door cabinet closet and three beautiful windows. The bath has ceramic tile flooring with stained privacy glass window. The long hallway gives you depth and if you want to detour to the kitchen for a snack there is a back stairwell to the kitchen. New Heater in 2016 and roof just recently surfaced. The property has been freshly painted and new carpeting throughout. 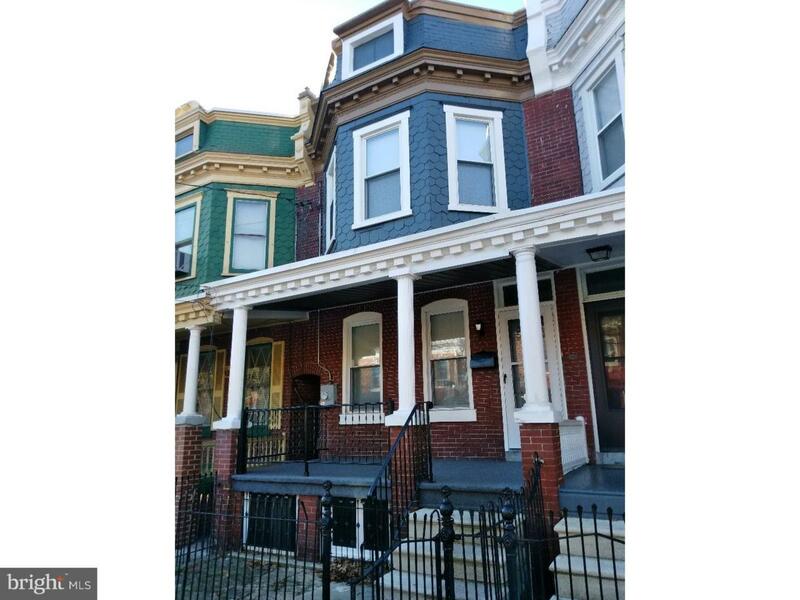 This home is within walking distance to downtown and Rodney square. Close proximity to the water-front restaurants and festivities. Come see! You won't be disappointed and you get a Home Warranty! Home priced to SELL. Inclusions Refrigerator Range Microwave Washer All Are "As Is Condition"
Listing courtesy of Concord Realty Group.